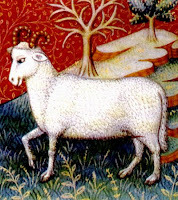 2016 will be a year of change for Aries but don’t worry you are more than up for the challenge. You are also likely to find a few hidden talents along the way. Being a team player can only help as you work through any barriers in your path. Look forward to an eventful year! Runaways by Brian K. Vaughan which was the first thing that came to mind for Aries this year. Runaways is an interesting spin on the superhero graphic novel. It follows a group of teenagers whose parents are part of a secret organization. Discovering their secret in a chilling way, the teens realize that their parents are super villains! Forced out of their normal lives, and discovering a few hidden talents of their own, they run away to be superheroes. Magic powers might not be the hidden talent you discover this year but it certainly makes for an entertaining read. More interested in a novel? Try Ernest Cline’s newest release Armada. The novel starts with the main character, Zack, spotting a space ship flying around his school. The weird thing is that it could have been lifted right out of his favorite video game. Certain that he has lost his mind, he tries to forget it but is instead pulled into a massive government cover-up. It turns out that the government has been preparing humanity for an alien invasion with video games. It is not long before Zack is part of a worldwide struggle for Earth’s survival as gamers unite to defeat the alien threat. The Martian by Andy Weir is my favorite choice for Aries in 2016. Trapped on Mars (the ruling planet of Aries), and assumed dead, Mark Watney is forced to survive on an unsurvivable planet. Overcoming every imaginable obstacle, Mark’s struggle will keep you on the edge of your seat. 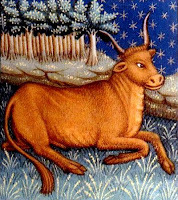 2016 should be a great year for Taurus. This year is all about focusing on minor changes and for taking the time to live in the moment. Make this the year that you take time for yourself and cross some things off that bucket list. Do you enjoy cooking? Why not check out Cooking slow: recipes for slowing down and cooking more by Andrew Schloss. 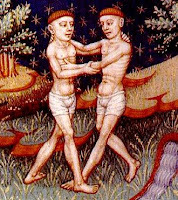 Turn on some music and enjoy yourself. You could try channelling Cate Blanchett in her role in Bandits. I have never seen someone enjoy cooking more than in that scene. Embrace the moment and have fun. This is also a year for helping others and for travel. Why not try both? That is what four friends did when they jumped in a motor home to do random acts of kindness throughout Canada. Read about their trip in Cool to Be Kind: random acts and how to commit them by Val Litwin. Do you prefer to enjoy travel from the comfort of your own home? Try Eating Viêt Nam: dispatches from a blue plastic table by Graham Holliday. This memoir of Graham’s quest to find authentic Vietnamese street food is a fun foodie adventure. 2016 with be the year of relationships and acquaintances, the year of foreign travel, short trips and networking. 2016 is also ideal for completing pending projects. Take “the serendipitous road” with Driving hungry: a memoir by Layne Mosler and learn about new destinations, people and food. Try a good piece of fiction that focuses on friendships, such as Don Quixote by Miguel de Cervantes, one of the greatest stories about two friends, Don Quixote and Sancho Panza or just a laugh-out-loud memoir: Is Everyone Hanging Out Without Me? by Mindy Kaling that covers the basics of friendship 101. Music and creative activities will help you balance your busy life, relax your mind and improve mental and physical health. 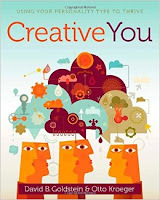 Borrow DVDs from our collection of Songs that changed the world series or start with Creative You: using your personality type to thrive by David B. Goldstein to learn how to apply creativity to your everyday life.